The third edition of the cycle race – The Tour de Yorkshire – takes places this weekend (28-30 April) and covers a lot of the county of Yorkshire. Many communities along the route have been getting involved with land-art projects such as the 6,000 sq ft moving cycle of school children in Driffield and an enormous “tunny” fish in Scarborough. Starting with a bit of controversy as to whether Redcar is part of Yorkshire! We believe it is! Fabulous two bedroom ground floor spacious apartment. Located in the prestigious development of Wilton Castle which has superb stunning communal gardens ideal for sitting and relaxing in the summer months, if you are a lover of tennis there is a court for use by residents only, the popular Wilton 18 hole Golf Course is in walking distance with Club House which also serves food and surrounded by lovely woodland providing wonderful walks. The first day of the Tour de Yorkshire covers part of the Yorkshire Wolds, and in the heart of the wolds you will find Wold Newton where Reeds Rains has a stunning Grade II listed building for sale. The property has been recently renovated incorporating lots of original features with contemporary design. The cycle race also traverses the North York Moors in North Yorkshire, passing through Pickering on its way. Here’s a great renovated terraced townhouse really close to all the amenities of the market town – it’s all ready for you to move into. Outside storage means that there’s somewhere to keep your bikes. This house is just stunning. It’s near the route of the Tour on its final day as it passes over the Yorkshire pennines – there are plenty of hills round here to test the cyclists. This Grade II listed building has many origin features including beamed and vaulted ceilings and is situated in a quiet secluded hamlet. 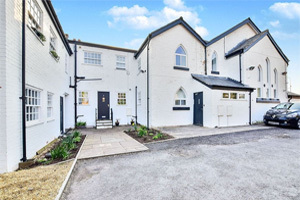 The final day of the Tour de Yorkshire finishes near Sheffield, and here we offer you a converted Methodist Chapel which has been renovated to the highest standards. The open plan living area is over 14 meters long and has plenty of natural light and original features. There’s a gym and sauna – ideal for any keen cyclists! To find your nearest Reeds Rains branch click here or start your property search today.